CAN PLASTIC AND BAMBOO FLY TOGETHER? 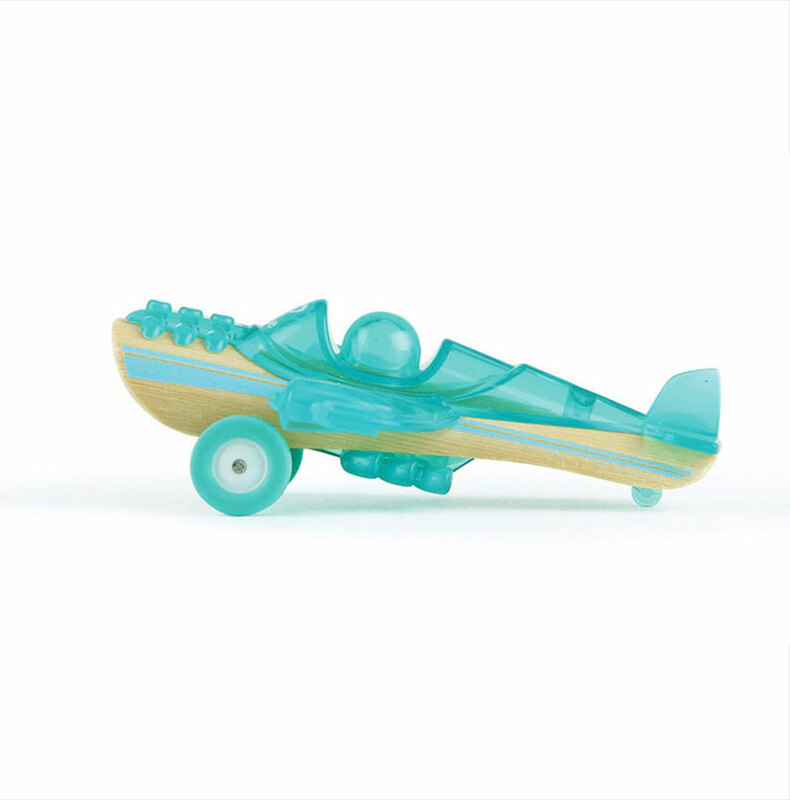 This has been the challenge of the Mini-Vehicles collection by Hape. Bamboo is said to be “the wood of the future” because it grows really fast, just like giant grass. And its fibers, put together, are as strong as wood. The point is: making bamboo part of a mass production is not an easy task because the natural shape is very variable. This is why to design integrating such element needs to set (and select in production) certain diameters so plastic can really be part of it. This is the technical challenge and the result is a collection that stands far from plastic vehicles as usual. 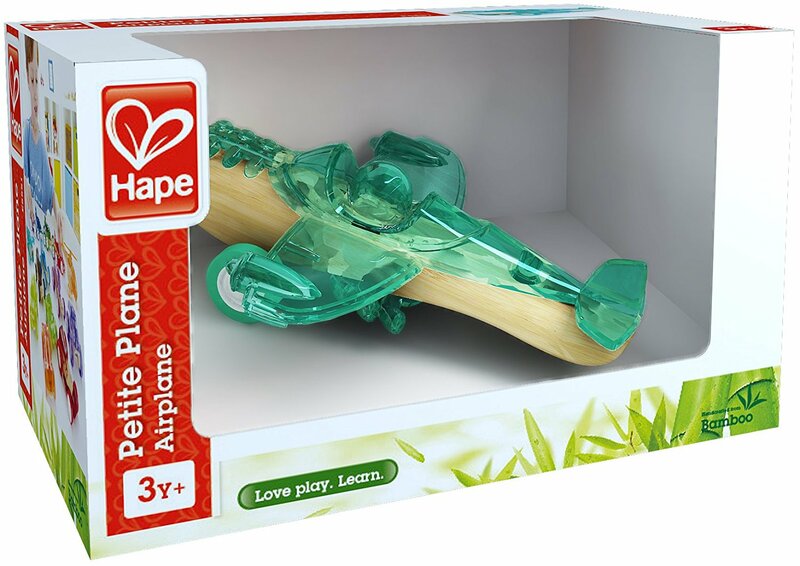 The toy plane came before the Mini Helicopter and the design process took start from the heritage of the Mini Vehicles collection. This is a set of vehicles that is in between a retro and sporty look. I wanted to make the mini plane be of course part of the family but at the same time I wanted to streamline it and make it look dynamic. 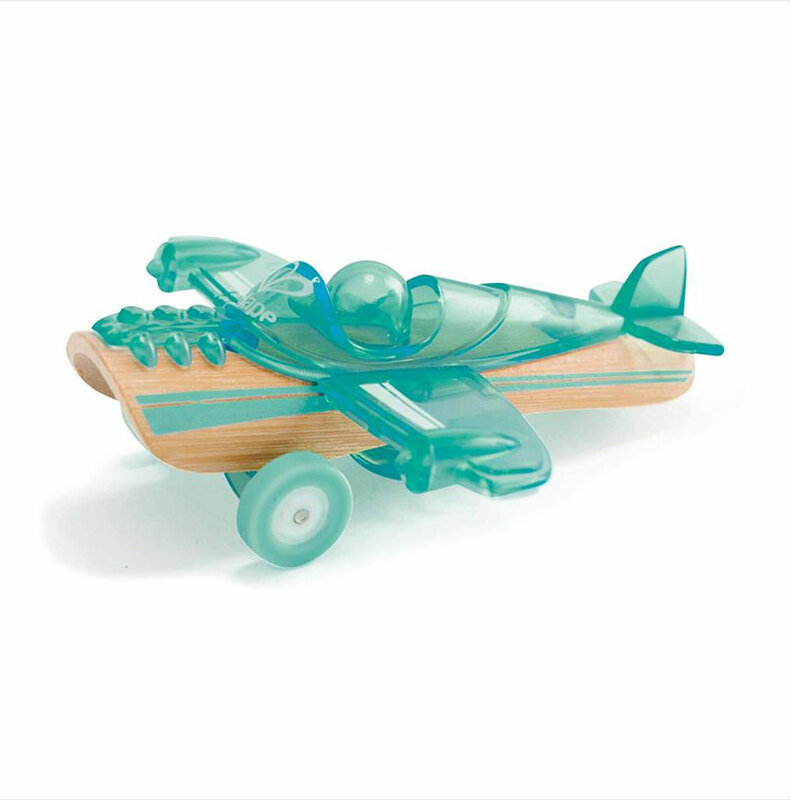 The plastic top part is the one of wings and top of the airplane body, the bottom part supports wheels and exhaust pipes. The two perfectly fit together and are connected through holes in the bamboo with plastic pins.The 3D modeling was very fun and at the same was a very technical task because I had to make sure that parts would fit and get out of the mold effortlessly thanks to draft angles.